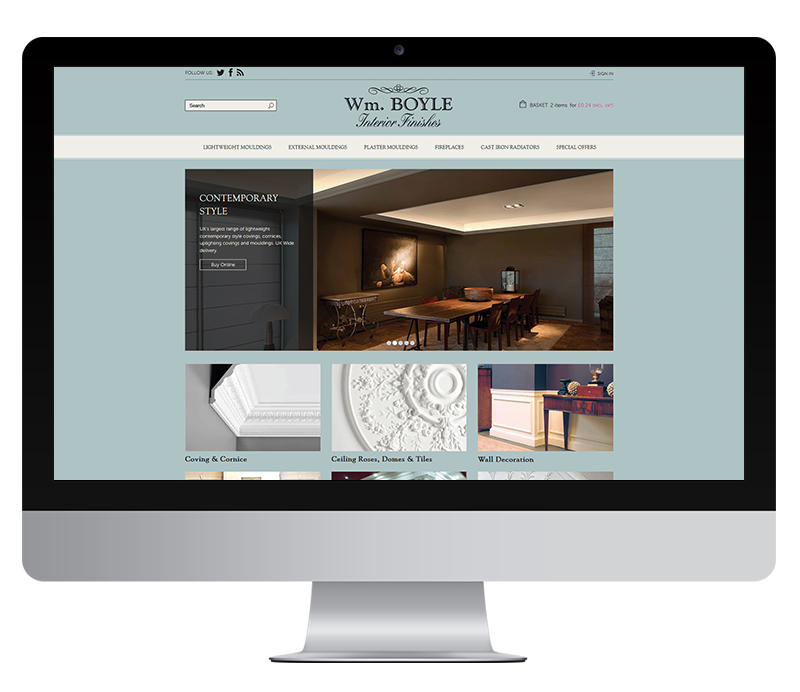 Ecommerce website for Glasgow based interior finishes supplier. Wm. 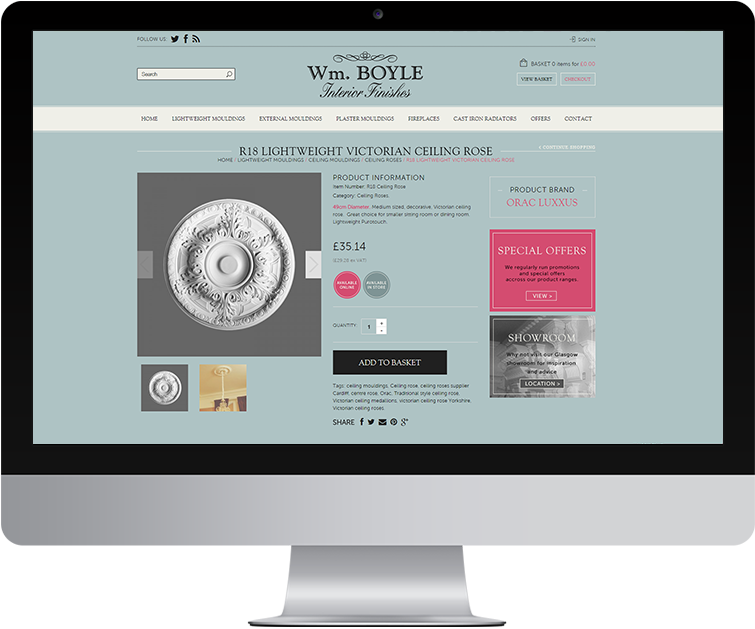 Boyle & Co. Ltd are a leading UK supplier of Cornice, Covings, Ceiling Roses, Period Mouldings and Cast-Iron Radiators. We created a modern fully responsive website based on WordPress and Woo Commerce that has helped Wm. Boyle to grow the ecommerce side of their business. I can't recommend Infinite Eye highly enough. The whole team have designed a website which we are proud of and which has allowed us to grow our e-commerce business. A year on from its launch and we continue to get fantastic support from them whenever it is needed. So glad that we found Infinite Eye. Like many of our projects, Wm. Boyle were migrating away from a legacy e-commerce solution that over time had become impractical and unreliable. When transitioning from old to new we are careful to consider the impact on existing traffic from search engines and historic inbound links, putting the appropriate redirects in place to ensure continuity. The new e-commerce solution (based on Woo Commerce) has been a great success. It allows complete control over website content, the product catalogue, promotions, price tiers, and most importantly order management and processing. There are integrations for all popular payment gateways and for other external platforms.